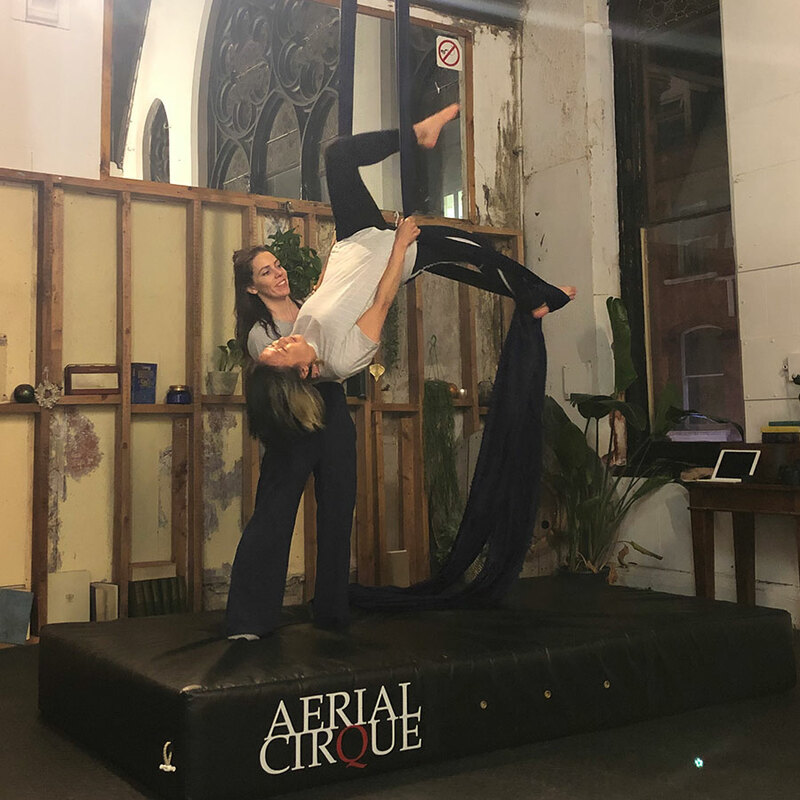 Aerial Cirque currently offers certified aerial silks teacher training intensive programmes in Dublin city centre and at hosting studios. 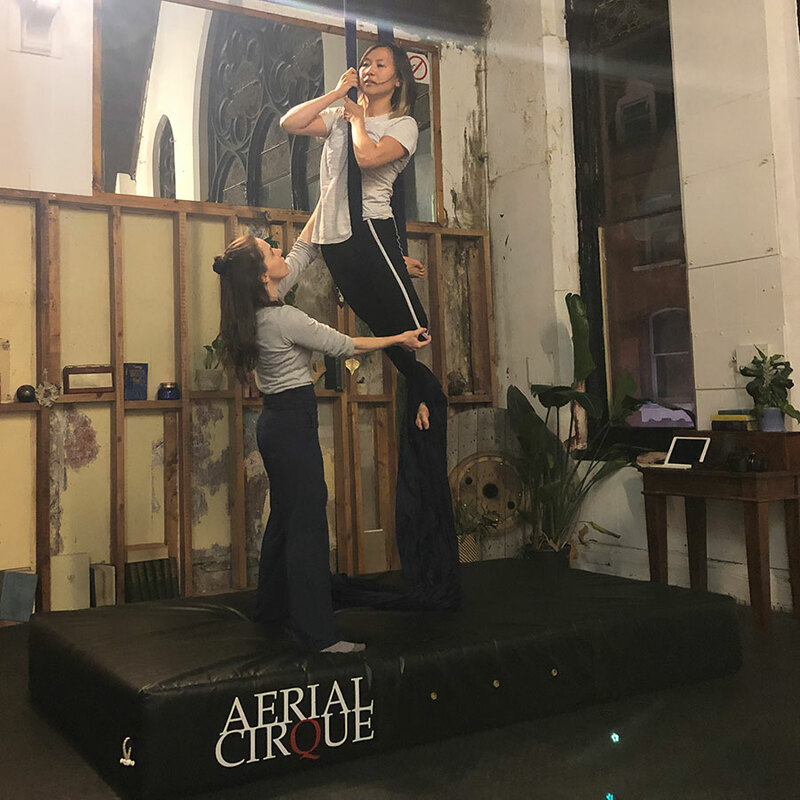 In this 40+ hour intensive practical hands-on course, you will learn how to teach and safely spot progressive aerial silks technique, skills, and sequences developed for the Aerial Cirque curriculum. Participants will receive the Aerial Cirque teacher's manual detailing progressions, teaching techniques, student difficulties to anticipate, and safe spotting reminders. 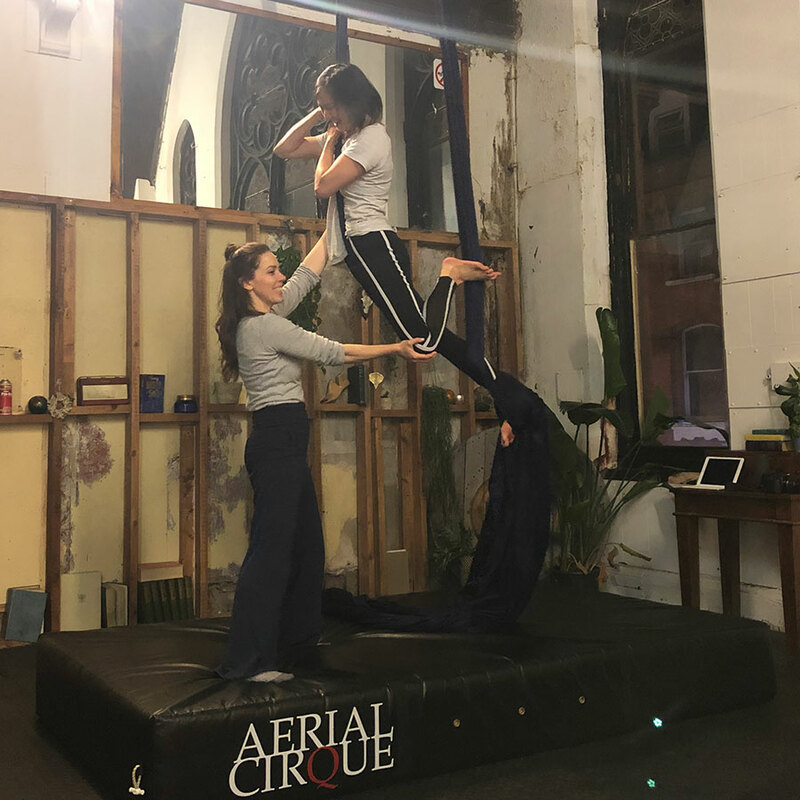 You will also learn insider tips on how to run a successful aerial business whether you're building it one carabiner at a time or opening a purpose fitted studio. This course is taught in English and therefore applicants should have a strong command of the language. For more information and to apply, email admin@aerialcirque.org to reserve your spot.